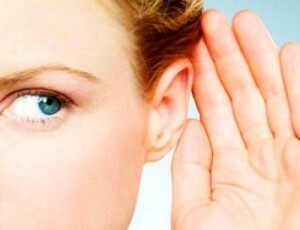 Hearing Loss | Your Health. Your Lifestyle. If your ears are ringing, you’re not alone — more than 26 million Americans have suffered noise–related hearing loss at work or play. Damaging decibels are found almost everywhere — and with the prominence of earbuds aiming pulsations directly down ear canals, the risk is heightened. Research shows just 8 hours of high decibel exposure can cause permanent damage — symptoms can appear instantly or later in life. Ringing or buzzing in ears after music stops. Cover up. At concerts, invest a couple dollars for the protective benefits of earplugs — this is especially crucial for fans closest to the stage or speakers. Get tested. Hearing loss risk increases with age, and those suffering gradual hearing decline might not realize it. Regular checkups can limit harm and help increase auditory capability. Stay out. Using a cotton swab to remove earwax is considered dangerous to the eardrum. A good rule: Never stick anything in your ear. Take a break. If you’re bent on blasting tunes on your headphones, take a sound siesta every 10–15 minutes. Forget the swab. Most of us are guilty of digging deep when wax builds up. But that gooey substance actually helps guard the canal against foreign invaders. Sticking cotton tips in your ear can push back the wax and cause infection. And you could puncture your eardrum if you’re not careful. Plug your ears. Experts warn that anything over 85 decibels can start to deafen — that’s about the noise level of a lawnmower or motorcycle. If sounds are louder (100 decibels or more), like those released at a rock concert, by a jet plane, or some power tools, you could start experiencing permanent hearing loss within 15 minutes. Wear protective headphones or earplugs if you’re going to be around noise levels higher than 85 dB, and take 15–minute breaks during your exposure. If you have to raise your voice to be heard, chances are the noise is too loud. Address concerns. If you notice changes in your hearing, or have symptoms like ringing, muffling, pain, a sense of fluid that won’t drain, or dizziness, see a doctor. THE MUSCULAR Dystrophy Association (MDA) has enlisted the support of firefighters nationwide for the 57th annual Fill the Boot summer fundraising campaign. Watch for intersection collection activities in your community in June, July and August, culminating with the Jerry Lewis MDA Telethon on Labor Day weekend. The money raised supports research, clinic services and summer camps for kids with muscular dystrophy. Muscular dystrophy (MD), which affects about 1 million people in the U.S., refers to a group of more than 30 inherited diseases that cause muscle weakness and muscle loss. Some forms of MD appear in infancy or childhood, while others may not appear until middle age or later. Some cases are mild and progress slowly, while others are disabling and severe. The different forms vary as to which symptoms and at what age the disease first appears, but all the forms worsen as muscles get weaker, often to the degree where the individual is not able to walk. There is no cure for MD. Research into gene therapy may eventually provide treatment to stop the progression of some types of the disease. Current treatment is designed to help prevent or reduce deformities in the joints and the spine, and to allow people with MD to remain mobile as long as possible. Included are various types of physical therapy, medications, assistive devices and surgery.